Decorators Warehouse in Eastbourne stocks a wide range of trade paints for all purposes, plus all the tools and equipment a decorator might need. We can quickly order in any products not carried in stock, plus we’re agents for specialist products such as liquid plastic. All of which explains why we have such a large and extremely loyal customer base in the area. Tradespeople can book a visit to site for expert advice on all manner of exterior and interior decorating challenges and we can arrange for delivery locally. 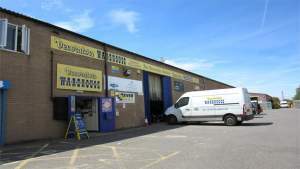 We’re well known among established local tradespeople, but if you’ve moved to Eastbourne recently or just embarked on your career as a painter/decorator, you’ll find us on the Britland Industrial Estate on Northbourne Road, just off the A259. Naturally, there’s plenty of customer parking, including dedicated disabled parking, so it’s easy to load up the van with all the products you need. Turning off Churchdale Road on to Northbourne Road, Britland Estate is the 2nd turning on the left. Turning off the A259 on to Northbourne Road, Britland Estate is the 2nd turning on the right.